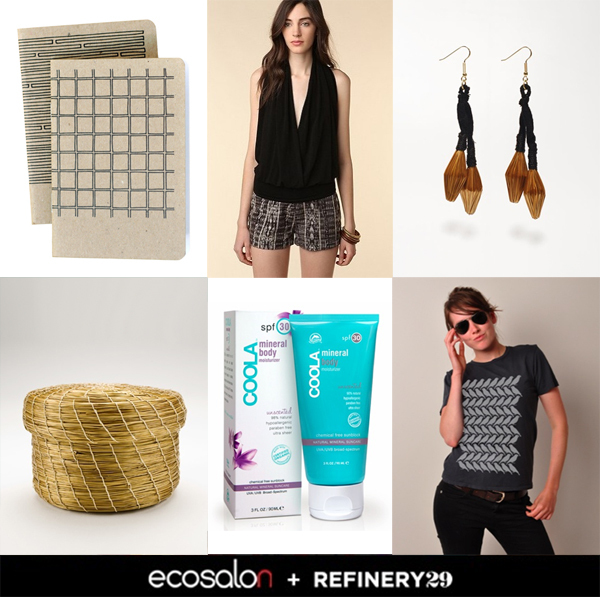 We didn't even have a chance to blog about EcoSalon's Summer Luxe Box before it sold out last week. Turns out $99 for $600 worth of eco goodness is just too good of a deal to pass up. All of the boxes sold out within just 11 hours. All except one that is! There's one box left and it's up for grabs over at Refinery29. Below are just a few of the great items in the box, including our notebooks! Find out what else is inside here and and enter to win here! The winner will be announced on July 18th. love that basket! so good!